London features a huge selection of most diverse attractions - historical and architectural sites, beautiful streets and squares, museums and exhibition centers. Trafalgar Square is a perfect place for walks. London National Gallery is also located here. The gallery contains more than two thousand works of great European painters. Among the exhibits you will find paintings made in the 13th century. Baker Street is the location of a no less attractive object - Sherlock Holmes Museum. Among the religious buildings of the city we should definitely mention beautiful Westminster Abbey and Westminster Cathedral. The cathedral is also one of the largest Catholic churches of the country. There are some Orthodox religious places of interest in the city, the most prominent of which is Cathedral of the Assumption of Our Lady. Classical music fans are recommended to visit Royal Albert Hall, Theatre Royal in Covent Garden, as well as Elizabeth II Theater. Among the cultural institutions of London we should also mention Natural History Museum, Victoria and Albert Museum and Museum of Science. British Library is also an original museum that is home to numerous old books and historical documents. Highgate Cemetery is worth noting among other interesting sights of the capital of The Foggy Albion. In addition to being an architecturally beautiful cemetery (as some interesting Gothic crypts can be found here) and where some famous people (Karl Marx, Ellen Wood) are buried as well, it is known for its occult past. This fact has often made the place a site for making horror films. Another cemetery that evokes conflicting feelings such as aesthetic pleasure and extraordinary awe and pacification mixed with the mystical perception of the world is the Tower Hamlets Cemetery Park. By the way, the hometown of Hitchcock and Chaplin has become a place for shooting various movies many times. 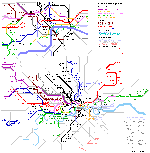 Among them are “Harry Potter” (King’s Cross Station, London Millennium Footbridge, Reptile House, Piccadilly Circus, Leadenhall Market), the series “Sherlock” (221B Baker St, Speedy’s Cafe), “The Bridget Jones’s Diary” (Borough Market, Globe Tavern), “Notting Hill” (the eponymous district). Greenwich foot tunnel is not less fascinating and it is often referred to as one of the most frightening places in the capital of Great Britain. And, it is due to the fact that while passing by it, people get a feeling of discomfort as if they were being watched. Family holidays with kids in London. How to entertain your child, things to show to children. It is hard to imagine a walk through the hometown without visiting one of its symbols, which is the Tower of London. The building managed to be both a prison and the place of execution for nobles among whom some were royals. It is not surprising that many legends are associated with the Tower, especially the White Tower, which, as rumors has it, is haunted by the ghosts. 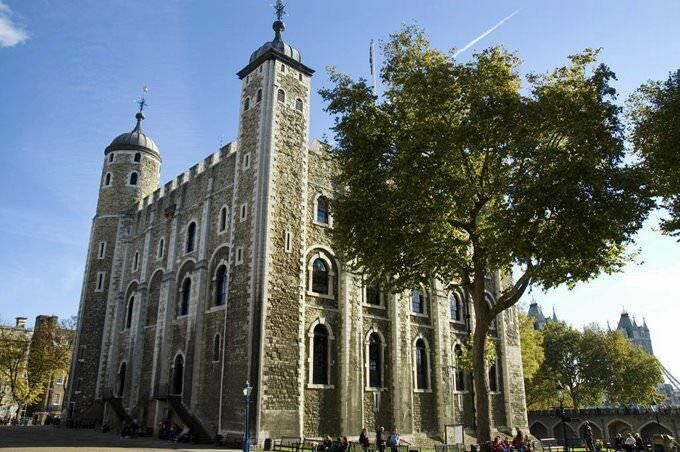 Famous Ravens of the Tower of London only add some sort of mysticism to this historical place. Another mysterious place is The Old Operating Theater Museum and Herb Garret, the place where a notion of surgery takes its roots from, and honestly the operations were not always pleasant to the human eye. When visiting this place, the image of Dr. Frankenstein involuntarily comes to mind. You can visit a place considered very unusual for a European city, that is, the temple of Shri Swaminarayan Mandir. The sacred place amazes with its splendor thanks to its size. This is not a historic temple. It was built only in 1995, but, despite this, it remains very impressive. For those who are addicted to “spy things”, a visit to the MI6 Building awaits them. Of course it will not be possible to get inside, but it is quite possible to look at the building where the fate of mankind was sometimes determined (and is still being determined). All that happened at 85 Albert Embankment. London’s highest building is called The Shard or the Shard of Glass. It is definitely worth looking at by every tourist. Its futuristic image perfectly fits into London in spite of the abundance of historic buildings around the attraction and the protests of many people. Buckingham Palace, another permanent symbol of Byron’s and Mary Shelley’s hometown, is definitely worth a quick glance. It is especially interesting to look at the Changing of the Guard. Of the other palaces, one should pay a visit to Kensington Palace. This is another residence of the kings and queens, in which the most popular British ruler, Victoria, was born. Take an interest in St. James’s Palace as well, because it was built in the place of a lepers’ hospital by order of Henry VIII. 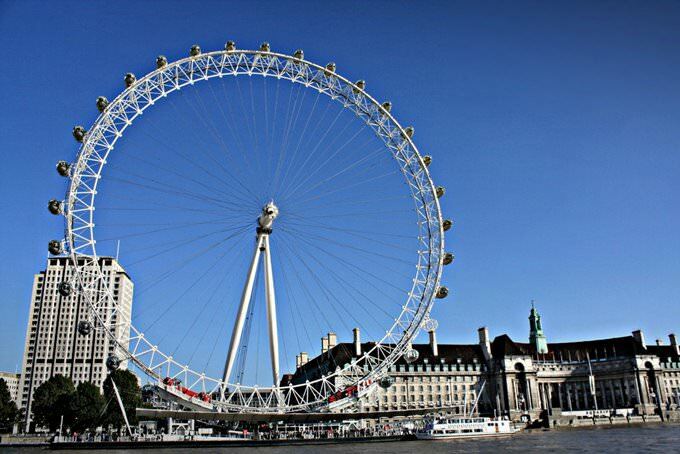 In the section below, you can get one of our excursion, activities or city discovery tours over London and surroundings. Our website offers 10-30% lower ticket prices, when compared to the offline purchase on the spot. » Any traveler can take direct part in receptions, dinners and banquets in the royal garden at Buckingham Palace. » Walk-in days tradition appeared in the official residence of British monarchs due to lack of funds. In 1992, fire has damaged Windsor Castle, so money for its restoration was needed. 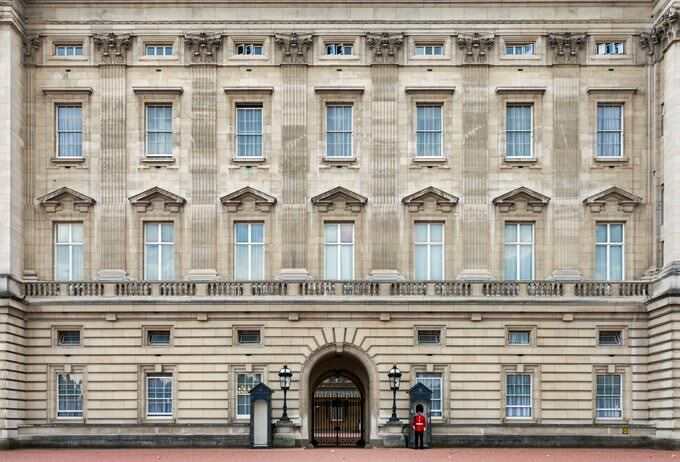 » During a visit to Buckingham Palace, just 19 rooms can be seen. The Throne, Ballroom and Banquet Hall, Music Room and Art Gallery are among them. » The special flag is hung above the main facade of the building; it announces the presence of the Queen in the palace. » Buckingham Palace consists of 775 rooms. The royal and guest quarters occupy 52 of them, 19 rooms are aimed at state servants, 188 chambers are reserved for staff, 92 - for offices, and 72 are bathrooms. 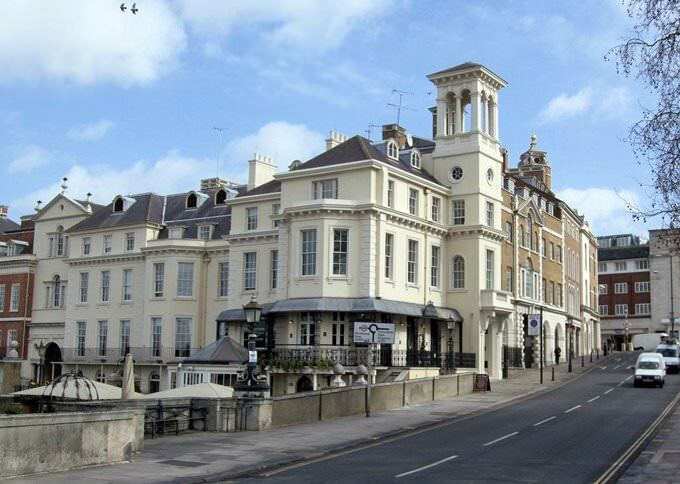 » The territory of Buckingham Palace has its own post office, police station, hospital, swimming pool, and cinema. The Palace houses the royal collection of works by Rubens, Rembrandt and other artists. 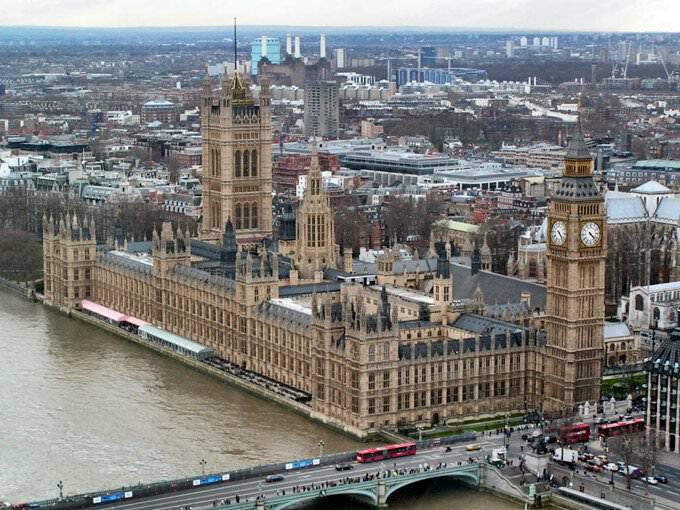 » The building of Westminster Palace, called The Parliament, is one of the largest buildings in the world. That’s the palace of 1200 rooms, 5 kilometers of corridors, and 100 stairways. » The most famous among palace’s towers is often referred to as Big Ben. In fact that’s the tower of St. Stephen's, and Big Ben is the name of the bell that was specially cast for the tower. » The highest tower of the palace is the Victoria Tower, its height is 102 meters. Tower, named after Victoria, was designed so tall with only one purpose - to fit the archive of documents considered by the Parliament of England. » Westminster Hall is the oldest building of the palace; it covers an area of 1,800 square meters. Its height is 28 meters. 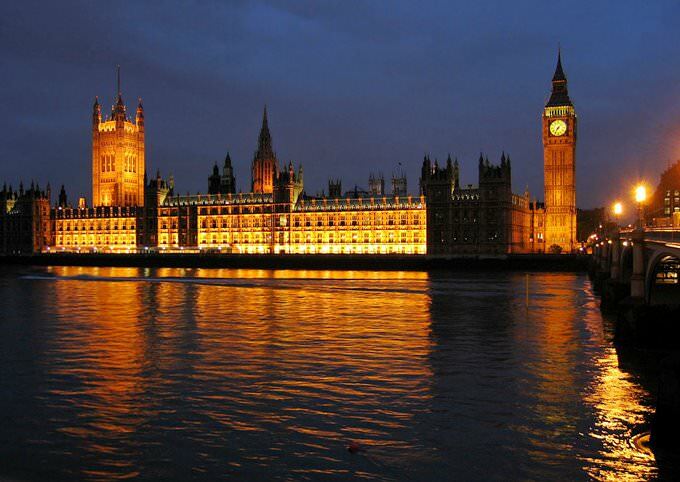 » Westminster Palace is open to visitors only a few weeks a year. Guests can enjoy an informative 70-minute tour throughout September. » The main purpose of Westminster Abbey is coronation and burial vault of ruling monarchs. The building features a special cross shape. » Westminster Abbey is a huge necropolis, where the most famous people of England were buried. It has more than 3,300 graves. Here lie the remains of Charles Dickens, Isaac Newton, William Shakespeare, Winston Churchill, Lord Byron, Princess Diana and many other prominent English people. » In 1953, coronation of Queen Elizabeth II, the current Queen of England, has taken place in Westminster Abbey. » Today that’s the active church. It ministers and holds the liturgy; the west wing serves for royal weddings, but there are also concerts of religious and secular music. » On April 29, 2011 the wedding of Prince William and Catherine Middleton was held at Westminster Abbey. » The architectural plan of St. Paul Cathedral looks like an elongated cross. Total height from the floor to the tip of the cross is 111 meters, and weight is more than 65 thousand tons. 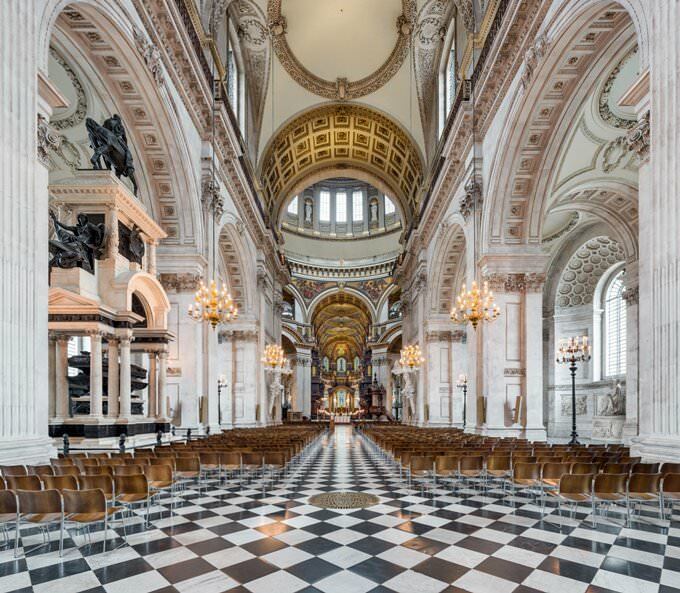 » The Cathedral has its own acoustic hallmark, the whispering gallery. It’s said that the whispered word in one end of the gallery can be heard at the other end, in a few tens of meters. » The St. Paul Cathedral is known by the burial of Admiral Nelson and many other famous personalities. The wedding of Prince Charles and Diana was held there. » Visitors of the cathedral should be aware that there is an entrance fee and it would be necessary to walk a lot. There are several floors with lots of stairs; the top floor provides spectacular view of London. » National Gallery in London exhibits about 2,300 paintings, representing the European art from the mid-13th to the early 20th century in chronological order. Here are all the best artists, including Leonardo da Vinci, Botticelli, Van Gogh, Turner, Cezanne and others. 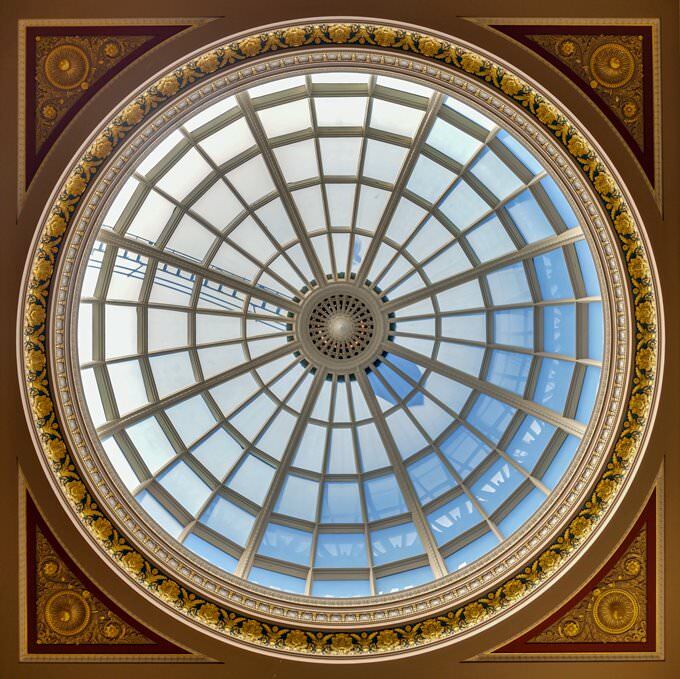 » National Gallery was established in May 1824. Paintings formerly owned by the wealthy banker and a big fan of painting, John Julius Angerstein, have formed the basis of the future major exhibition. » In the halls of the gallery you can see a lot of famous paintings, with Titian’s Holy Family, Van Gogh’s Wheatfield with Cypresses and Sunflowers , Venus with a Mirror by Velazquez, Landscape with Castle Walls by Rubens, Michelangelo's The Burial of Christ and Raphael's Madonna among them. » Rembrandt fans can enjoy an impressive collection of his works, which seem to turn the pages of life's greatest painter. » Besides a collection of masterpieces, the exhibition is notable for the fact that you can listen to audio to or watch detailed video presentations on the paintings and artists in the Sainsbury wing or in the Espresso bar. This guide to cultural sights London is protected by the copyright law. You can re-publish this content with mandatory attribution: direct and active hyperlink to www.orangesmile.com. Culture guide to London. Which fascinating sights to visit once you are in London: temples, churches, museums, theaters and castles. Recommendations (with addresses, phone numbers and links) on the places 'must visit' in London. Plan your own city excursion by using this page info!